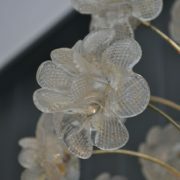 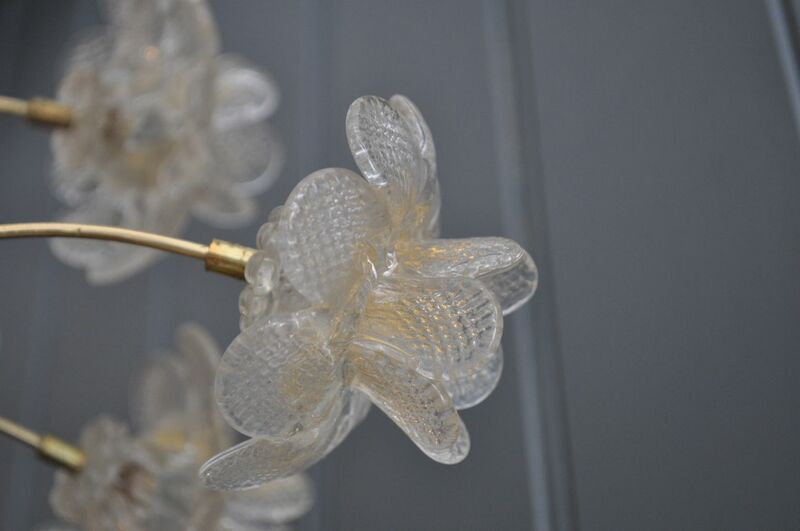 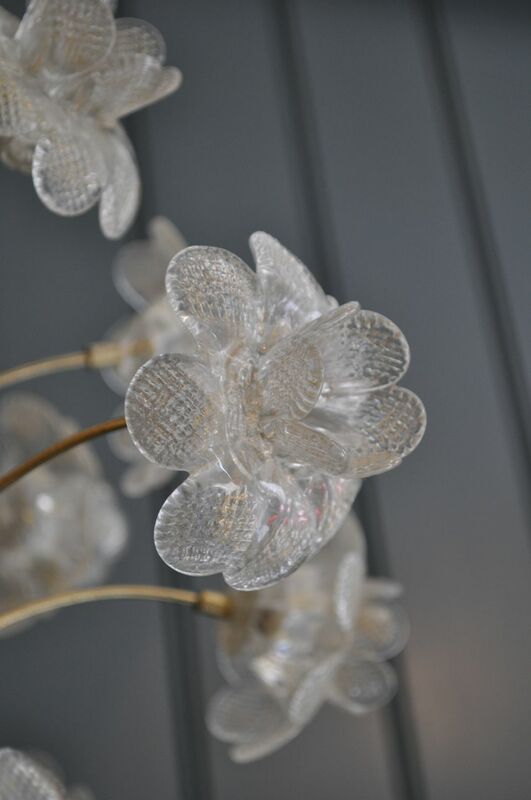 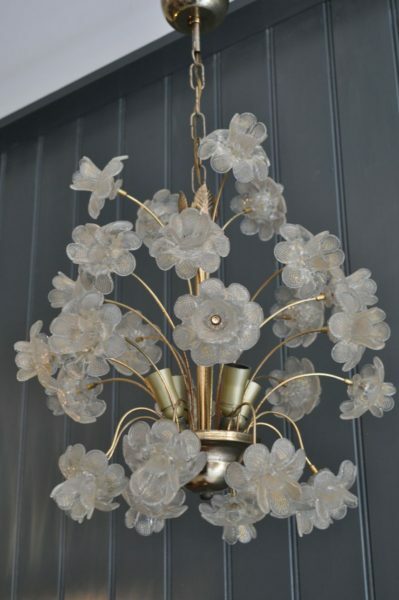 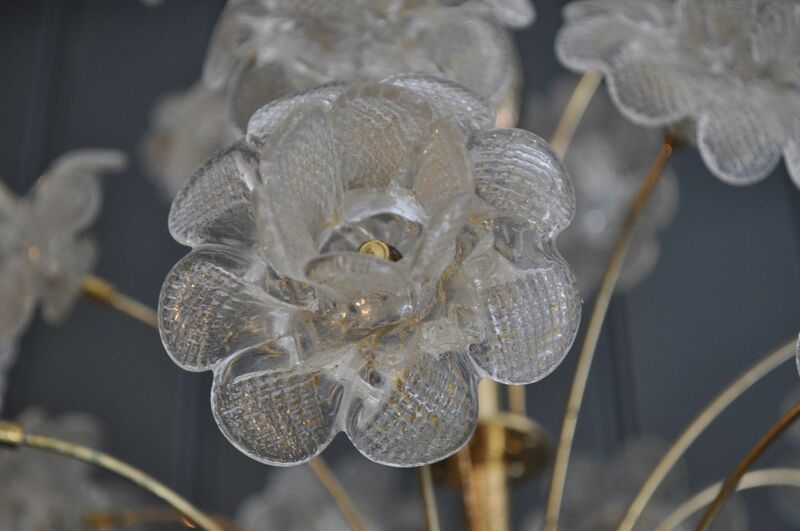 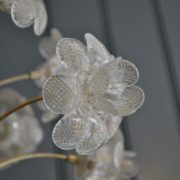 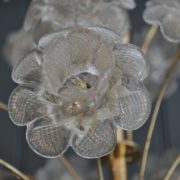 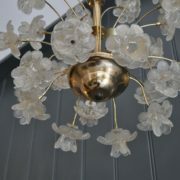 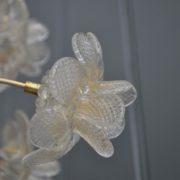 Absolutely stunning Italian brass chandelier with beautiful glass flower-heads, slightly flushed with gold, and on wonderfully delicate brass stems. 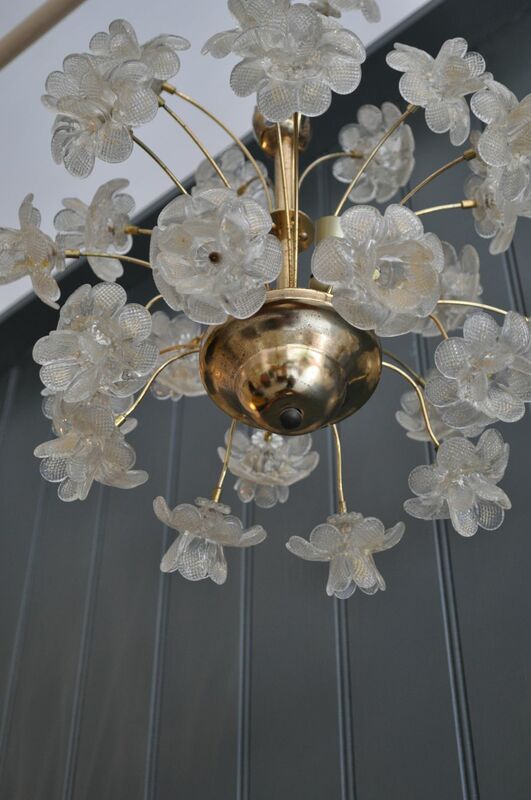 Checked and earthed by a professional electrician, and with original chain and ceiling cup. 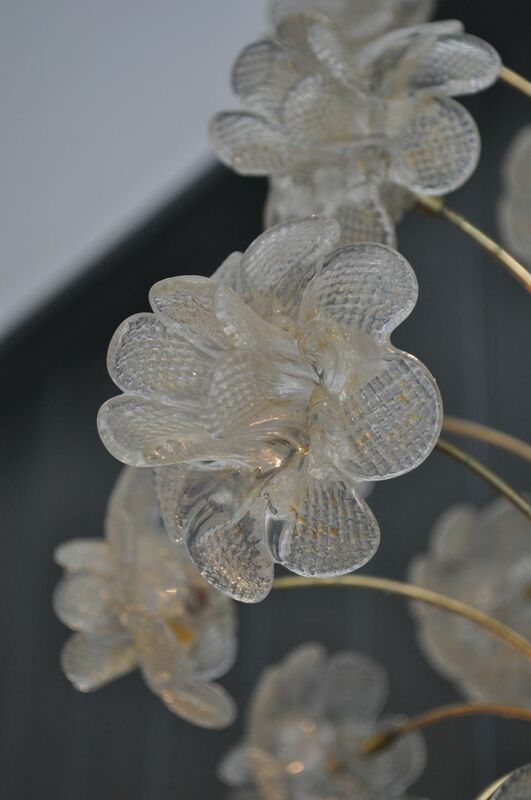 A super centre-piece to any room.